As the digital technologies are speedily transforming the online business landscape, web application development services providers are witnessing custom web application development become even more important. Nearly everything has gone digitalized. Your company’s ability to create web applications for this digital world plays a vital role in your business’s overall success. So, how can your online business make use of web application development services to attain a competitive edge over your competitors? The first step is to stay ahead of the latest trends and know what’s coming and strategize accordingly. 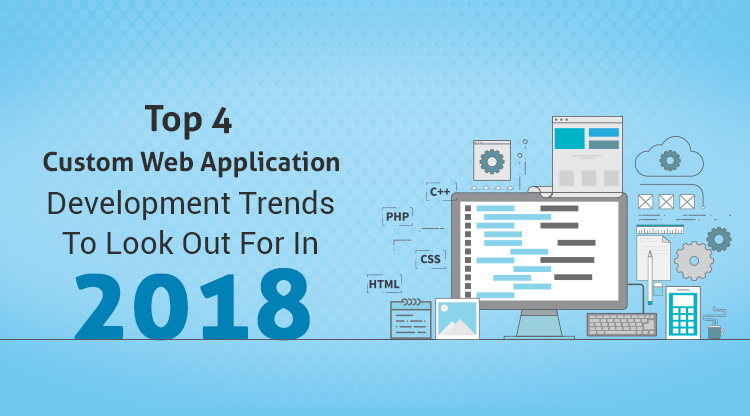 Today, let’s explore the top four custom web application development trends to look out for in 2018 in detail. PWAs are web applications which are based on the up-to-date web technologies such as Manifest. PWAs are basically a mobile website, but deliver the users with an experience of a web application. With the help of custom loading screen, excellent animation and no navigation bar, PWAs are surely going to give strong competition to the latest native mobile applications in the year 2018. Users spent thrice the time on websites. Re-engagement rate amplified around 40%. Amplification in interaction rate around 70%. Data usage diminished by three times. These amplified figures are enough to understand that how beneficial are PWAs for your business in 2018 and play a major role to amplify your brand value and ROI. The Internet of Things (IoT) has blown the custom web application development industry and shows absolutely no signs to slow down. Online businesses have already employed around 3.1 billion connected things in the year 2017, with the number anticipated to grow substantially in the year 2018. This sudden rise in the connected things is generating the requirement for custom web applications which get linked to the IoT, scrutinize the connected things and analyze data produced by the IoT. Extremely affordable because there is no human dependencies. Trims down the training time because Chatbots can easily manage the basic functions. In the year 2018, online businesses will surely opt for the Chatbots to provide their customers an excellent assistance 24×7, 365 days a year. Blockchain is another fascinating web application development trend to adopt in the year 2018. Blockchain is basically an amazing approach of combined data storage. Information is positioned on thousands of computers across the globe, rather than storing it in one place. Transactions get verified by using an intricate algorithm, trimming down the middlemen and ensuring accuracy. Consider it to be a decentralized and safe database which every individual shares. While the blockchain-based web applications might not blow up in 2018, it is a trend which will evolve and professional web application development services should explore in 2018 and beyond. 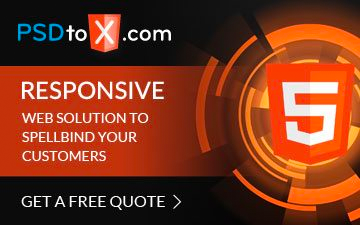 So, now that you know how the latest custom web application development trends are going to benefit the businesses in several ways in 2018 and assist them to sustain a long-lasting connection with their existing customers.